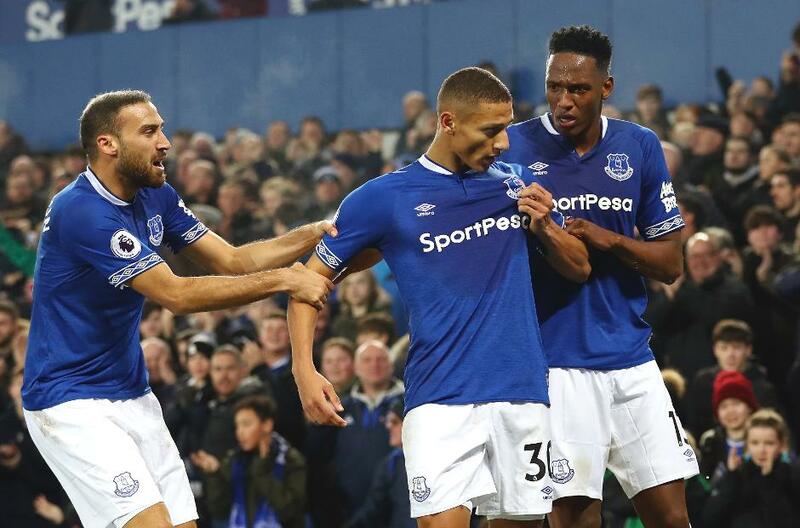 Richarlison scored his seventh Premier League goal of the season as Everton drew 1-1 with Newcastle United. The Magpies took a 19th-minute lead when Salomon Rondon finished off a left-wing cross from Jacob Murphy. Richarlison struck in the 38th minute at the far post after Gylfi Sigurdsson’s corner had been flicked on. Substitute Theo Walcott had a chance to give Everton a fifth successive Premier League home win but could not keep the ball under control when through. At the other end, Jordan Pickford denied DeAndre Yedlin at the other end. Everton are sixth with 23 points, while Newcastle rise to 14th on 13.